Automate emails notifying members when they earn points. When turned on, this email will be sent every time a member earns points for purchasing and for any other ways to earn points that you have set, like social sharing and referring friends. The email will let them know how many points they have just earned and for what action, their current points balance, and how close they are to their next reward. 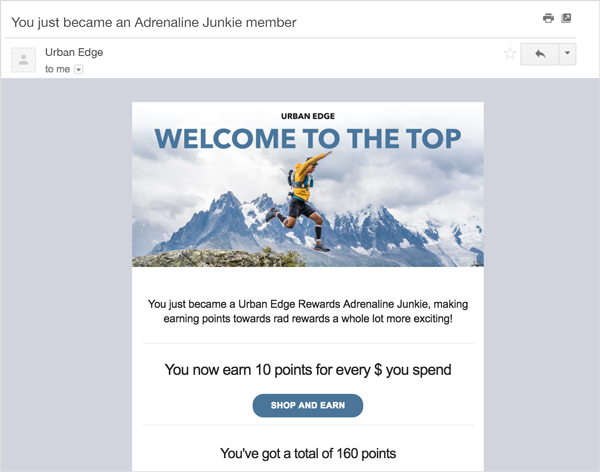 Automate an email notifying members when they have earned enough points to spend on a reward. 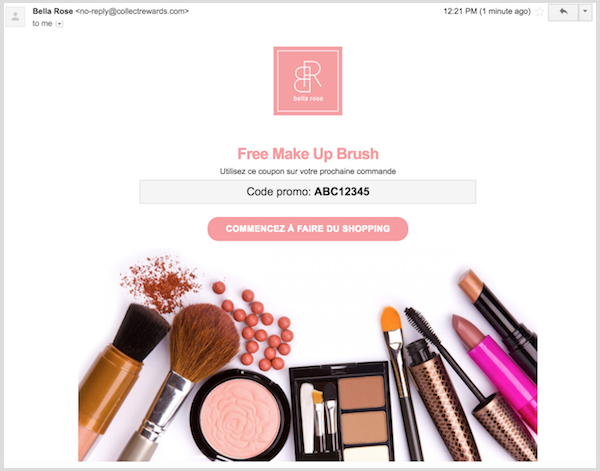 This email lets them know what reward they have reached and they can click through to view and redeem your rewards with their points. When members redeem a reward, send them their unique coupon code, so they can save it for reference later when they are ready to buy. If you reward for friend referrals, when a member refers their friend and that friend joins your loyalty program, they get your referred reward. This referred friend bonus encourages them to make their first purchase and sends them their unique coupon code, so they can use it later. 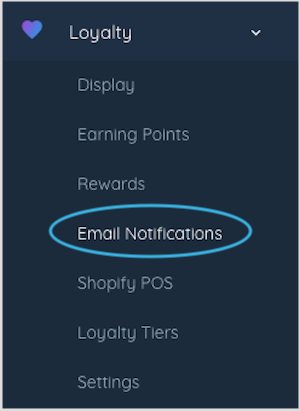 If you have created a loyalty tiered loyalty program, when a member has earned enough points to enter a higher loyalty tier, you can automatically notify that member by email. 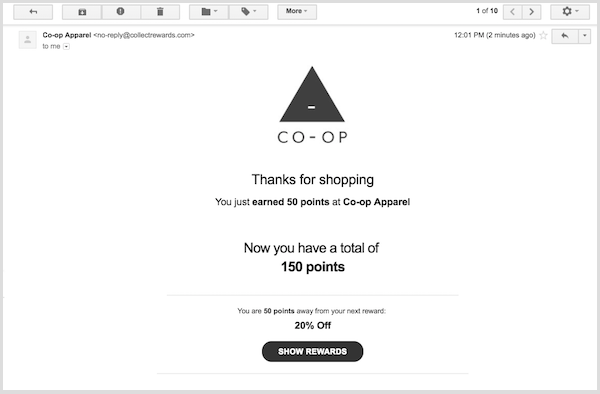 This email let's them know what tier they have just entered and how many points they will now earn for every $ they spend.